BoxCast offers integration with Roku and AppleTV to help organizations engage audiences and connect with viewers. Since its onset, BoxCast has prided itself on making the live video streaming process – once complex and costly – simple, reliable, and affordable. The feature is available to any customer on a High Definition streaming plan. Customers must simply opt in to join the BoxCast channel and their content will be found by millions of people around the world. BoxCast can also provide a software development kit (SDK) if a customer chooses to build a personalized Roku or AppleTV app that features BoxCast events. Should a customer not have software development expertise but still desire a Roku or AppleTV app, BoxCast is able to work with the customer to design, implement, and release a custom app. BoxCast is a breakthrough streaming platform that makes it easy to deliver live, HD video to anyone, anywhere, on any device. Launched in 2013, BoxCast is headquartered in Cleveland, OH. 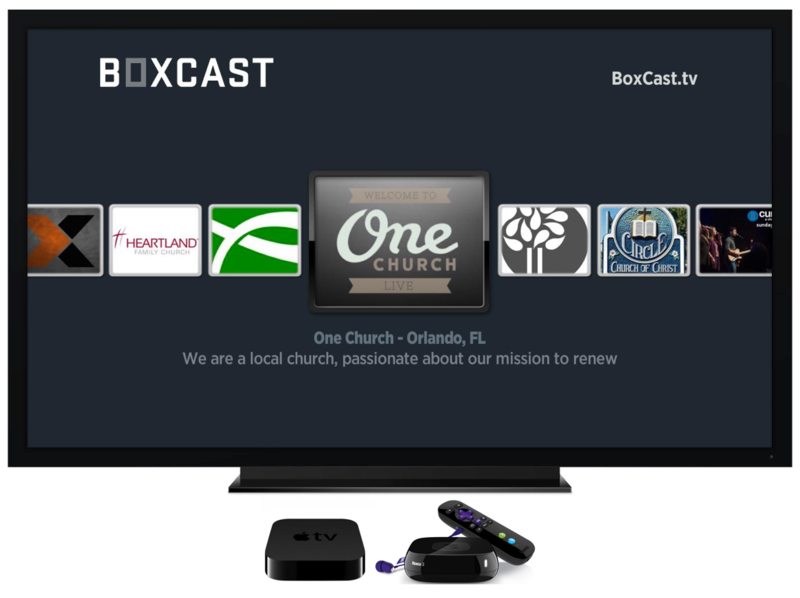 CLEVELAND, OH, June 13, 2016 — BoxCast, the Cleveland-based live video streaming company, now offers seamless integration with Roku and AppleTV, helping organizations to engage their audiences and connect with viewers.